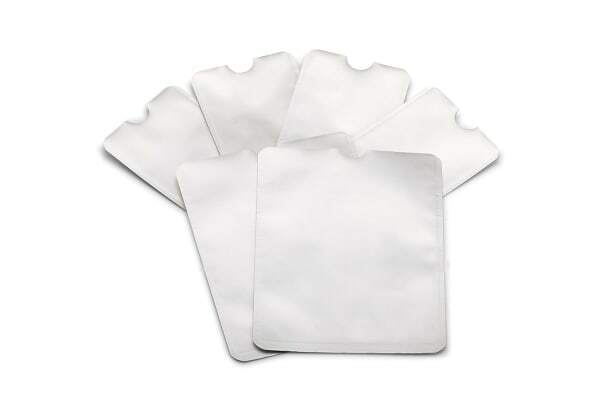 Stop electronic pickpockets from scanning your RFID enabled credit cards, ID cards, and passports with these high-quality sleeves. Blocks transmitted signals from hi-tech scanners and prevents identity theft. New technology meant to make your life easier can unfortunately also leave you open to threats from high-tech thieves. 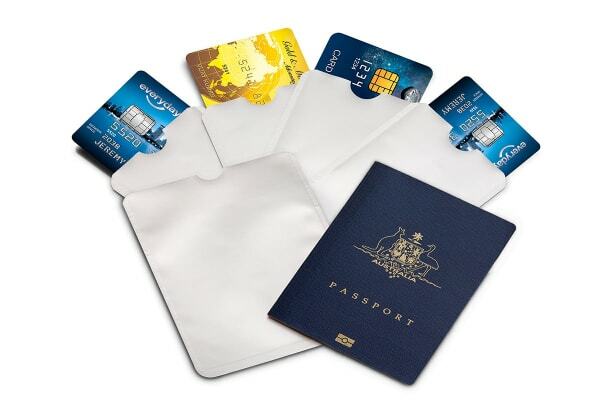 Get smarter and use the 6 Piece Credit Card & Passport RFID Sleeve Set that block the RFID waves that your cards emit thus protecting them from digital pickpockets. Newer credit cards have a microchip, the RFID, that allows you to simply tap or wave your card to shop instead of swiping and entering your pin. Unfortunately, pickpockets too have gone high-tech and use this technology to scan your credit card details through your bags with a simple handheld scanner. You would not even be aware that your credit card details were stolen till its too late! These RFID blocking sleeves prevent digital pickpocketing by blocking the RFID signals that your credit cards, drivers licence and passport emit and make it very difficult for scanners to read them from a distance. Your cards will remain protected in your bag as long as you take care to hold your bag close. More often than not, we keep our mobile phones and credit cards pretty close together in our bags. This can cause the magnetic force of your phone to interfere with the magnetic strip on your cards! The RFID blocking sleeves work in protecting your cards against damage from this magnetic energy, by providing a blocking layer! Just what I needed for travel security.